The Black Market trust will be in Studio A with Doug Jayne, Tuesday March 28th at 1:00 pm on KRCB-FM Radio 91. 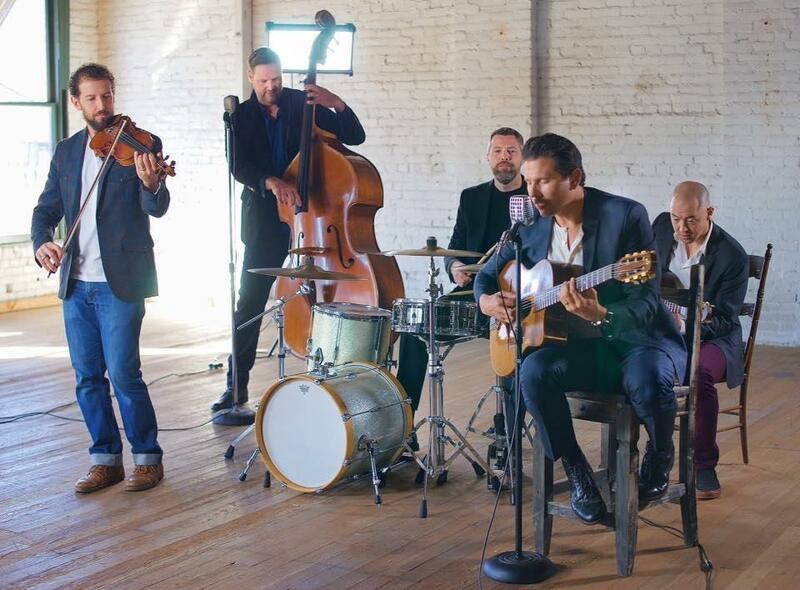 The Black Market Trust is an American pop/vocal jazz band whose current release II combines the sounds of the great American crooners and vocal groups with the romantic Eastern European gypsy fire of jazz guitarist Django Reinhardt. Consisting of five world class musicians who have traveled the globe recording and performing on the world’s biggest stages and with music’s most renowned artists, The Black Market Trust capitalizes on their experience and pedigree to deliver a sophomore album that brings a new and exciting sound to 12 tried and true classic songs. You can find out more about the band at theblackmarkettrust.com. Listen to Midday Music with Doug Jayne Monday through Thursday 12-noon to 2 pm on KRCB-FM Radio 91!